The MTA's Darryl Clark helps a rider at a bus stop on The Alameda. "And it didn’t link with the other bus," he complained. "I just saw it going down the street when I got to the corner. So, right now I’m not feeling the link." The $135 million system, two years in the planning, was launched in the pre-dawn hours Sunday. Routes and route numbers have changed. Some routes are color coded—red, blue, orange, green and so forth. 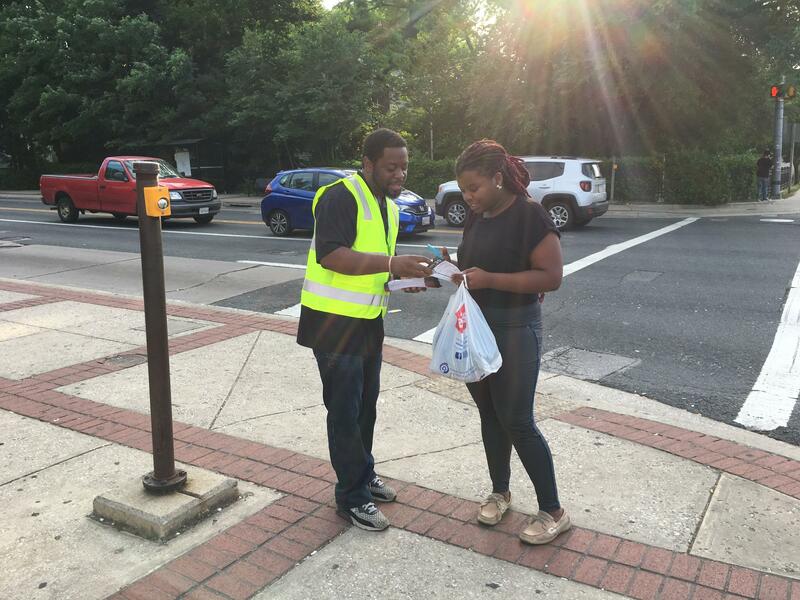 The Mass Transit Administration, or, MTA, detailed employees to major bus stops to answer questions and hand out bus schedules. 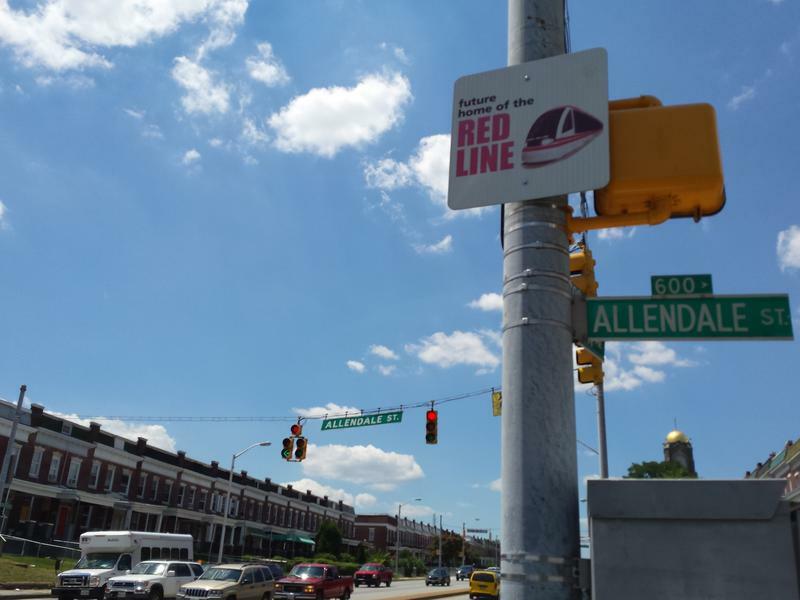 Riders also can go to the web site, baltimorelink.com, or call 410-539-5000. Or maybe just ask the front line guys, the bus operators, like Debron Baruch, who was behind the wheel of a Route 53 bus on the Alameda. “They don't know where they’re going so you just got to tell them which line they're going on,” he said. Got a question, he says. Just ask. 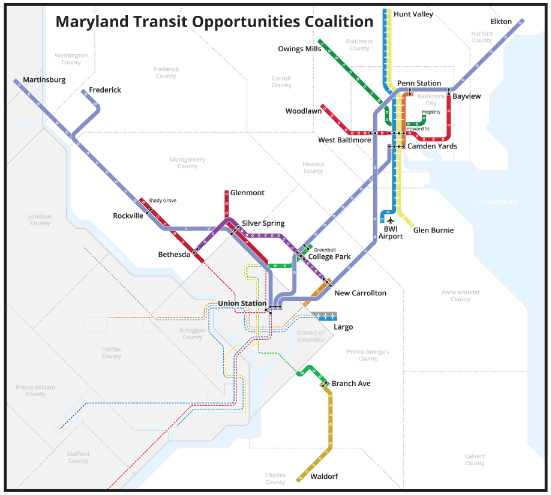 Elected leaders from Baltimore city and county left a meeting with state transportation officials Monday disappointed because no one offered an alternative to the Red Line project shelved by Gov. Larry Hogan. But state Transportation Secretary Pete Rahn said they shouldn’t have been surprised. He sent them an agenda last week.